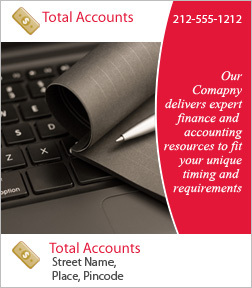 A 3.5 x 4 inch square corner accounting magnet can be sought by accounting services to promote their business. Advertisers working in low advertising budget can always seek this magnet to promote their services. This accounting magnet can be suitably customized with the brand information at the lowest customization fee on bulk purchases. Accounting businesses can always choose to hand it over their customers.